Shikisai-no Oka is a famous scenic place in Biei, Hokkaido. 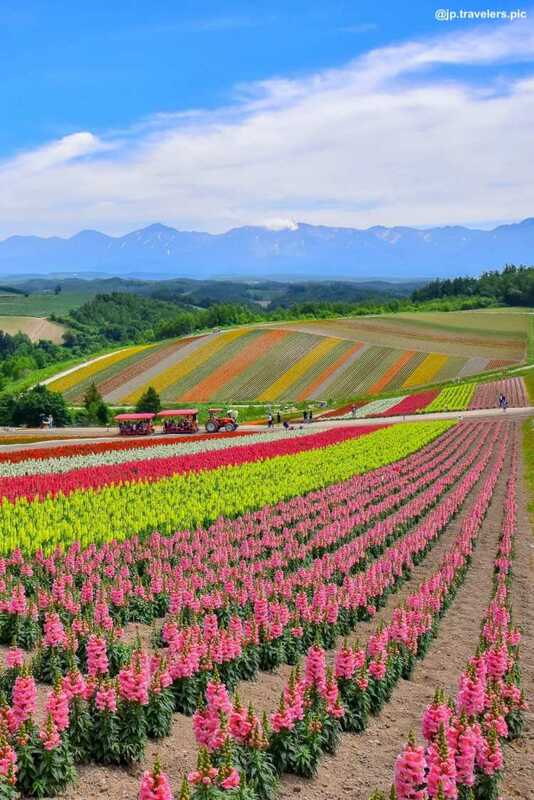 The scenery of farm products and flowers on a hill is beautiful and bright like a colorful paints on a palette. A cart you can drive in the garden is also exciting!◎Green season is from the end of April to the end of October. 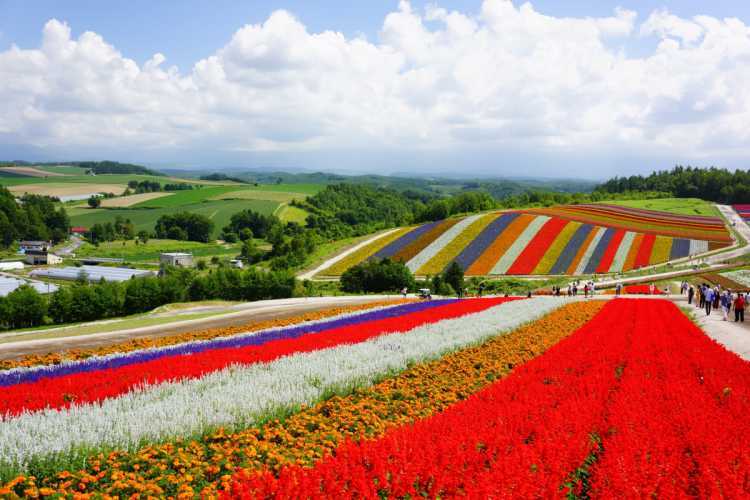 The colorful carpet of flowers and the great panoramic view of Mt. Tokachi-dake. You can go to the flower fields in a distance at a stretch by a tractor bus and cart moving around the park. 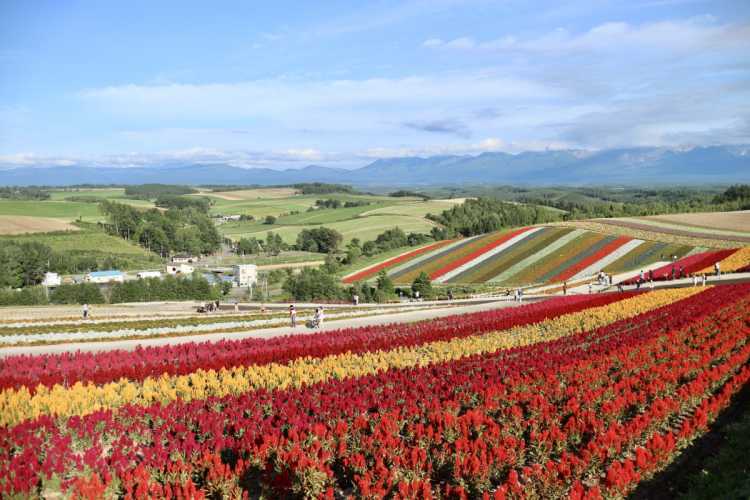 Hokkaido's Taisetsuzan Mountains and a town of hill Biei are covered with colorful flower fields from spring to autumn. 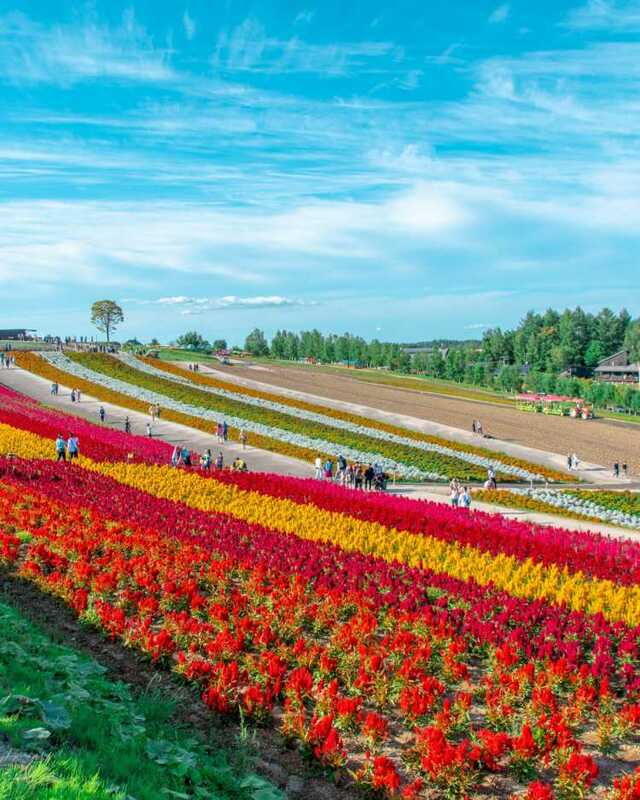 At Shikisai-no Oka, you can see the flowers as far as the eye can see, and it's summed up in the statement that 'beautiful'.◎25 min walk from Bibaushi Station of JR Furano Line. If you rent a bicycle at JR Biei Station, you can see around there. Or, rent-a-car will be convenient. From July to October, you can see the beautiful flowers in their best whenever you visit here. I think, the place of such a gorgeous flower carpet is only here in Japan. I thank all of the people who take care of these flowers so much. 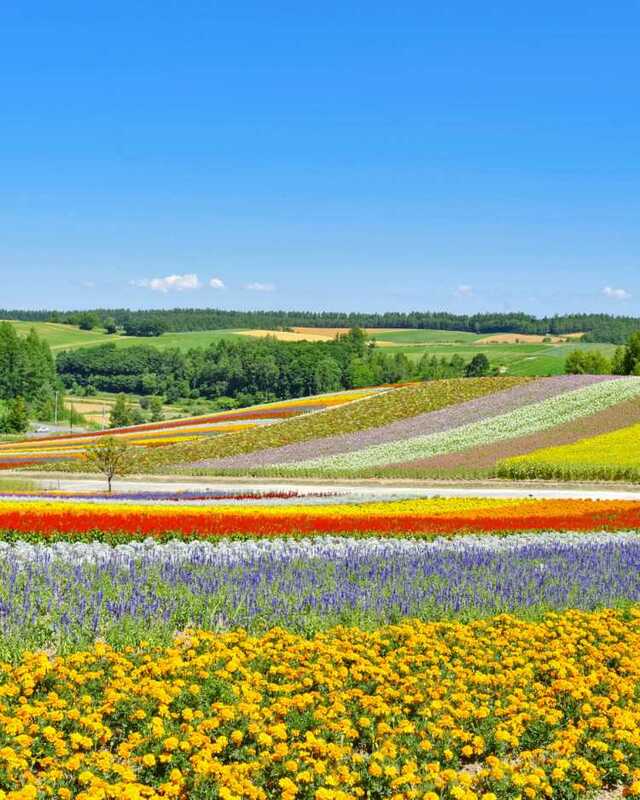 In the place surrounded with the great nature of Hokkaido, there's a colorful world of various flowers. Shikisai-no Oka (Hill of Four Seasons Colors), is the right place as its name says.